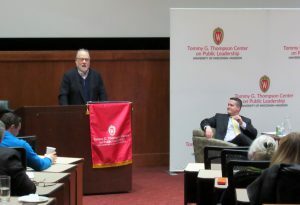 The Tommy G. Thompson Center was thrilled to have Michael Murphy deliver a talk regarding the state of contemporary politics in America. 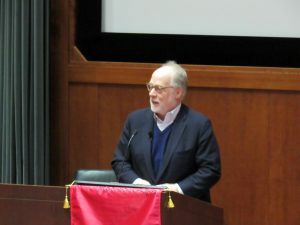 His insightful and entertaining dialogue held the audiences attention to the fullest extent. 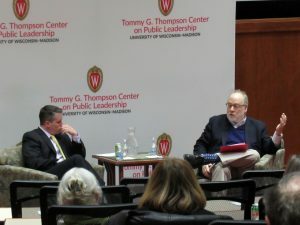 The event was held on March 29th Madison’s Fluno Center Auditorium. 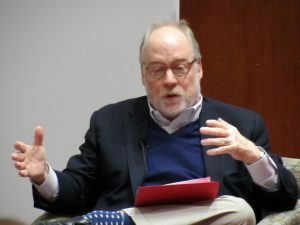 Mike Murphy is one of the Republican Party’s most successful political consultants, having handled strategy and advertising for more than 26 successful gubernatorial and Senatorial campaigns. Murphy has been called a “media master” by Fortune magazine and the leader of a “new breed” of campaign consultants by Congressional Quarterly. 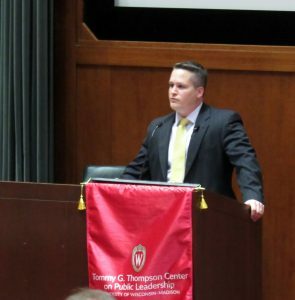 His past campaign experience includes serving as senior strategist for John McCain’s first campaign for President in 2000, both Mitt Romney and Jeb Bush’s successful campaigns for Governors and Arnold Schwarzenegger’s election as Governor of California. 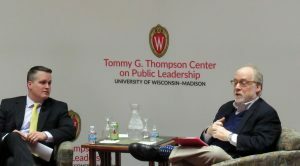 He has advised political leaders in six foreign countries. 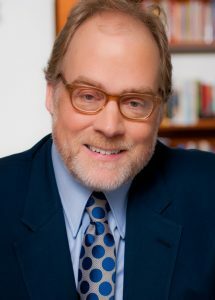 A partner in the Washington DC based Revolution Agency, Murphy works as a strategy and communications consultant for a variety of Fortune 500 companies and leading trade associations. Murphy is also a Senior Fellow at the Harvard Kennedy School’s Belfer Center for Science and International Affairs.